In my post about why we need to clean the air in our homes, I mentioned that the indoor air is often worse than the air outside! In fact, indoor air can be 2-5 times worse! Our homes lack the natural filters that the outside world has to help deal with the contaminants that are everywhere. The good news is that there are natural and easy ways to help clean the air in your home. Some of these ways are achieved by removing toxic items from our home; products that are releasing harmful chemicals into the air. Other methods of cleaning the air require adding a few things to your home. All in all, these methods are all relatively easy to do and will have you breathing cleaner air in no time. This is a simple thing we can all do and yet we often forget about. I know I’m particularly bad at forgetting to open windows during the winter months because naturally I don’t want to let all the heat out of my house. Interestingly enough, when I was looking into this I discovered that if you open your windows up for just 5 minutes a day, your indoor temperatures will really not lower. This is because most of the heat is trapped inside your walls and furniture; not the air itself. So while it might feel cold after 5 minutes of open windows, things will heat back up on their own without having to turn on the thermostat. It should be noted that you should check the outdoor air quality before opening windows because you obviously do not want to bring worse air indoors. Making sure you have HEPA filters for your central air system or air purifiers is an easy way to help keep contaminants out of your indoor air. These are easy enough to find and install; all you need to do is make sure they get changed when they need to be replaced. Now I’m not talking about huge smokestacks or anything like that. I’m talking about the everyday items in your home that are off-gassing chemicals into your air. This ranges from mattresses, to the paint on your walls, to the laundry detergent you use! Yes, some of those are huge items that you might not want to toss out or you might not be able to afford the natural versions of those products. However, it is at least worth noting that what we have in our homes is what contributes to our air quality. These salt lamps are quite an interesting home accent. They are giant rocks of salt (usually himalayan pink salt) that have a light bulb inside them (there are also candle versions for those who want an electricity free variety). Now outside, of casting a lovely glow and looking cool, salt lamps help clean the air. They are said to work by using negative ions to attract contaminants like dust, allergies, and even the positive ions from our electrical devices. I have just one of these lovely lamps right now but I can attest to the fact that at the very least, it does reduce the amount of dust in the room! In my previous post I mentioned how many candles actually contaminate our homes with their soot and artificial fragrance. Beeswax candles on the other hand actually help clean the air by releasing negative ions which bind pollutants! As a bonus, beeswax candles burn slower than other candles so you don’t have to replace them as often! You can buy your own or you can make your own beeswax candles with my mess free version. Make sure to turn on the bathroom fan if you are taking a shower so that the moisture can be removed from the room. Too much moisture makes a nice breading ground for mold and mildew. Oven fans should also be used when cooking, not just for the moisture levels but also to help remove and smoke or heaven-forbid chemicals that are produced when cooking. Air fresheners might make your room smell fresh but they actually are polluting your indoor air! When you spray that can of garden fresh flowers, you are actually releasing VOC’s into the air. Instead opt for natural ways to freshen the air. Use essential oils in the form of sprays, incense sticks, or just use a diffuser to help your home spell lovely. Essential oils have the added bonus of actually helping clean the air as well; unlike air fresheners which generally just cover up the yucky smells with their perfume. 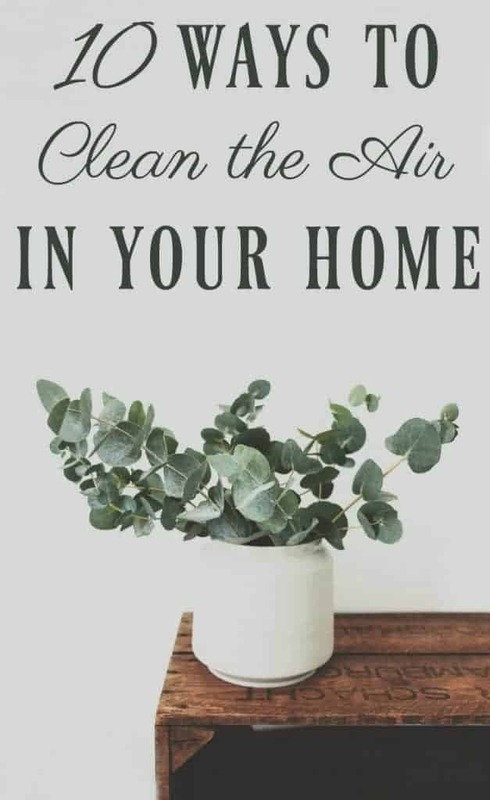 It goes without saying but if you want your home’s air to be clean, you need to have a clean home. Open any teenage boy’s bedroom and you can smell what I’m talking about! So clean your home but clean it properly and naturally. Don’t dry dust as that just moves the dust around; make sure to use a wet rag when dusting. Make sure to vacuum often and use one that has a HEPA filter so that it doesn’t push the dust right back out. Most importantly, use natural cleaners when cleaning your home. Most of the traditional cleaners in stores are full of chemicals that are toxic and when you use these products you are just filling your indoor air with them. If you are curious about what is in your cleaning products and how it rates toxin-wise, check out EWG’s Guide to Healthy Cleaning. The easiest way to know you are using safe products is to opt for the natural cleaning basics: baking soda, vinegar, and lemon juice. You can also find some great natural cleaning recipes and methods in my Ways to Clean Green post. Placing a few plants in your home will help clean and filter the air much like the plants do outside! Even NASA did a study to see how plants did when it comes to filtering indoor air! 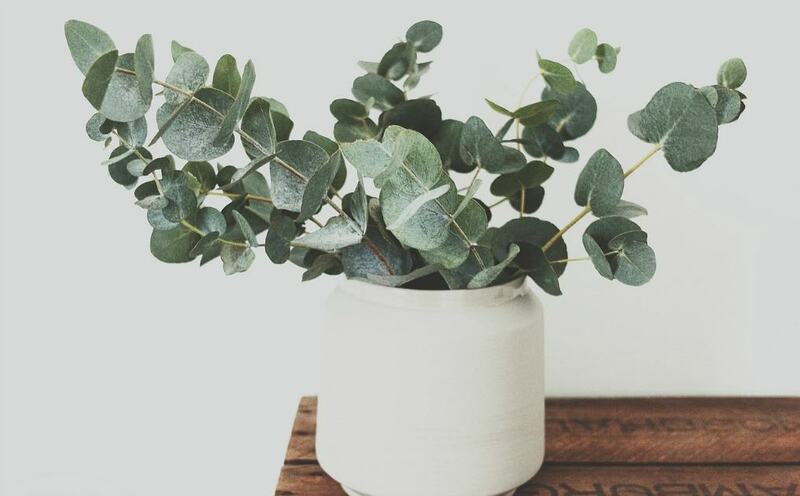 Some plants do a better job at cleaning air than others however so if you are in the market to buy some indoor plants make sure to check out the top 18 plants for cleaning indoor air. I’ve only somewhat recently been introduced to activated charcoal for it’s amazing skin benefits. However, just like it’s ability to remove toxins from our bodies, charcoal can also remove toxins from the air! Charcoal Air filters like this one are great for removing contaminants and moisture. They are safe to use around pets and kids. As a fun bonus, you can use them in your compost when it’s time to replace them! Love all your wonderful and helpful tips and I do everyone of these except the beeswax candles – I just use battery operated candles to give the warmth and soothing atmosphere. Thanks for sharing on Real Food Fridays. Pinned & tweeted. These are great tips. And you’re not kidding about teenage boys’ bedrooms! I have a 16-year-old son and I struggle with the smell of his bedroom daily. These are fantastic tips! I do need to get some plants. I had some years ago and then the kids came along and I just sort of let that go. I do pretty much everything on your list. Plants would especially be helpful in the winter months when you’re wanting to see something green. If you have a window in your bathroom, open the curtains and let the sun shine in. This will dry surfaces and help to prevent mold. To prevent smells in closets, I never store shoes in there and I keep the doors open whenever possible.